Instead of a gift… we want the money! In fact, more and more spouses decide to give up the traditional wedding registry in favor of a cash offer. It happens because the young couples are going to meet many expenses and, therefore, they need to be down to earth. Plus, more and more couples already live together under one roof before getting married, so they may do without golden plated serving set or crystal glasses. how can I ask for money in a diplomatic manner? The most popular solution consists in picking up a tailored expression that helps you clearly say it in the invitations without sounding too aggressive. However, we offer you a cheaper and more practical solution: an online registry perfectly suited for any event that enables you to manage and receive money while comfortably sitting on your sofa in front of your PC! Therefore, Given2 is the right answer to your question about the most classy and sophisticated way to ask for money for your wedding! Thanks to the online wedding registry service, you can both receive money and have your gifts or your wedding journey paid without any additional cost or middlemen. What’s more, you have at your disposal 5 useful and safe payment methods to receive money among the following: Bank transfer, Credit Card, PayPal, direct purchase of the Gift from an e-commerce along with the old fashioned envelope containing cash gift. Consequently, Given2 prevents once and for all the spouses and guests’ embarrassment: you just have to add your registry URL to the invitation. In this way, your guests will easily know your needs ;). In order to receive money, you can choose among original and creative solutions, like the following ones, so as to let your guests contribute to your registry by paying the gift amounts. A gift amount can be divided into multiple parts, called “ribbon”; the lowest amount of every selectable ribbon is chosen by the couple. In case the guests want to give more than that, they will be able to select more than just a ribbon, thus contributing with the desired money amount. Furthermore, thanks to the instant messaging system, you can send and receive thank-you messages in a handy and discreet way, and always respecting everyone’s privacy. 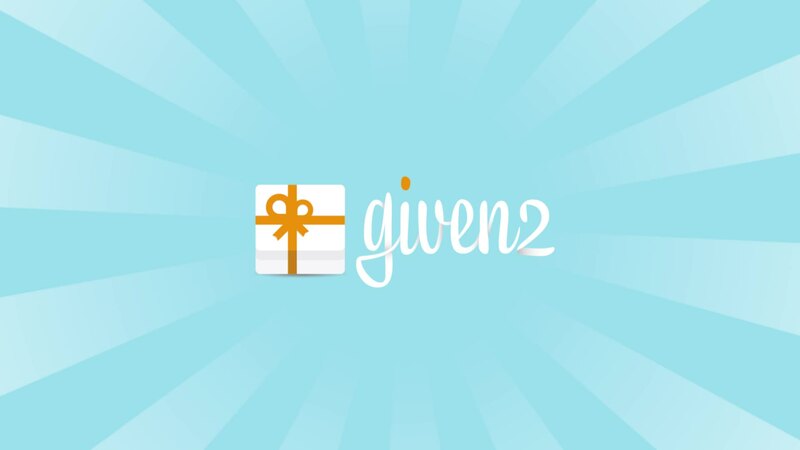 However, Given2 is more than just a gift registry! In fact, it also offers a useful RSVP system to help you manage efficiently the confirmations and attendances of your guests. In addition to that, you can create nice and fun photo albums: in this way you will be able to easily share the best moments of the ceremony with all those people who made them so precious! We think it’s now safe to say that thanks to Given2 asking for money really is elegant! What do you think? With Given2 you are free to use your wedding registry to receive gifts, contributions, travels… The only limit is your own imagination! Or you can also find the perfect gift-idea by getting inspiration from our community.